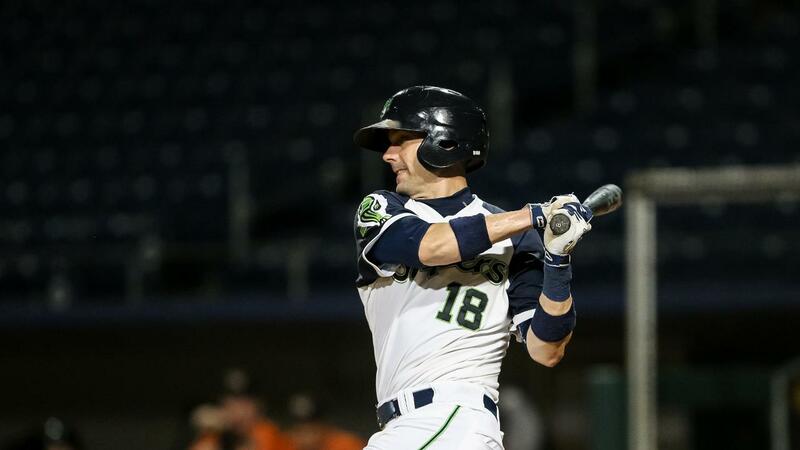 LAWRENCEVILLE, Ga. - A six-run fourth inning carried the Gwinnett Stripers to a 10-2 win over the Norfolk Tides Wednesday at Coolray Field. Entering the decisive fourth frame with a 2-0 lead, the Stripers batted around, with all six runs being charged to reliever Luis Gonzalez (L, 0-3). After Dustin Peterson started the inning with a groundout, Ryan Flaherty singled and Sean Kazmar Jr. popped out. That's when the Stripers went full throttle, manufacturing every run without needing an extra base hit. Phil Gosselin singled to put runners on the corners, then Chris Stewart hit a soft single to right for the first run of the fourth. Xavier Avery walked to load the bases and Michael Reed beat out an infield single to make it 4-0. Austin Riley lined a single to left, scoring two more runs. Carlos Franco hit an RBI single as the ninth batter in the inning, ending Gonzalez's night after 0.2 innings, six hits, six runs and a walk allowed. D.J. Snelten threw a wild pitch to bring Riley home, making it 8-0 after all was said and done. The night started after a one-hour, 33-minute rain delay with Gwinnett getting two runs in the first against southpaw Donnie Hart. Avery walked to lead off and Reed singled. Riley bounced a ball into the first base hole that was misplayed by Breyvic Valera, allowing the first run to score. Franco lifted a sacrifice fly to center for the second run. The Stripers had a "bullpen game," throwing multiple pitchers for one-or two-inning appearances. Corbin Clouse made the start, going 3.0 scoreless innings with two strikeouts and two hits allowed. Peter Moylan threw a perfect third with a strikeout in his third rehab outing from Atlanta. Norfolk's runs came against Bryse Wilson, making his second appearance out of the bullpen for Gwinnett. After Wilson's fastball overpowered the first two batters for strikeouts, Luis Sardinas singled and was followed by a two-run homer from Garabez Rosa (11) to make it 8-2. Riley and Franco added RBIs in the bottom of the eighth for the 10-2 final. Phil Pfeifer (W, 2-2) worked 2.0 scoreless innings with three strikeouts. Chad Sobotka worked out of a bases-loaded jam in the eighth and Adam McCreery pitched a scoreless ninth. Every Stripers batter reached base in the blowout. Riley went 2-for-5 with three RBIs and Franco was 2-for-4 with three RBIs. Stewart went 2-for-3 with two runs scored. Rosa went 2-for-4 with a homer and two RBIs for Norfolk. The Stripers (67-67) and Tides (68-66) meet for the last time in 2018 Thursday with a special 10:35 a.m. start for Education Day. Right-hander Connor Johnstone (1-0, 4.50) gets the start for Gwinnett against righty Jimmy Yacabonis (3-4, 3.93). Dave Lezotte will have the play-by-play call on 97.7 and 93.5 FM "The Other Side of the River" beginning at 10:05 a.m.